Council Woman Annabel Palma has graciously agreed to both attend the event and deliver the keynote address! 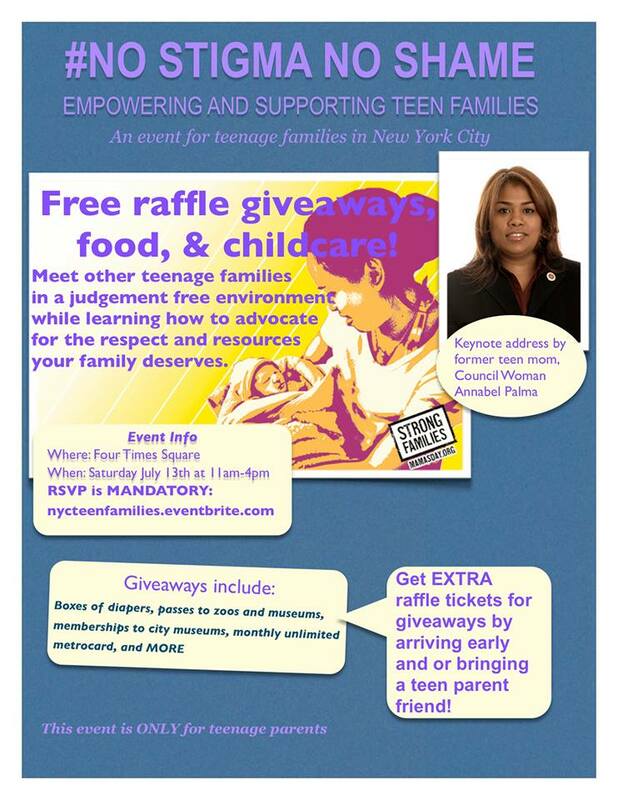 Council Woman Palma is a former teenage mother and publicly denounced Mayor Bloomberg's and NYC HRA's controversial anti teenage pregnancy ad campaign. The day's events include sessions on how to advocate for your family, mental health, sexual health, and FREE child care, food, and raffle prizes! RSVP is mandatory! RSVP today here!